SPARK mailed LEGO a certified letter on Tuesday to follow-up on our request for a meeting. We’ve asked for LEGO to contact us by Tuesday, Feb. 6th. Stay tuned. SPARK and our partners might be waiting for a response to our letter to LEGO, but we are certainly not sitting around. We have been discussing the issues on national and local radio stations, in op-eds, on television, in blogs, and local, national and international papers. This conversation has gone all the way to NPR with parents, kids and experts weighing in with their opinions and research on how kids play, and how gendering toys impacts their development. One direct, negative consequence of maintaining strict and stereotyped gender lines in toys is bullying. Kids can be cruel in policing their peers, as Katie Goldman found out when she was taunted for being a girl and bringing a Star Wars water bottle “for boys” to school. Bullying on the basis of non-conformance to perceived gender roles starts young – Katie was in first grade – and gendered toys contribute to the idea that certain toys are for girls or boys only, and playing with toys “meant” for the other gender can be dangerous. As kids age, their adherence to strict constructions of gender roles becomes more flexible, but attitudes formed early in childhood have lifelong implications. Gendered bullying applies to all kids, which means girls who like Star Wars and boys who like hairdressing are at a greater risk of being bullied when marketing and design contribute to gender divisions. Katie’s mom, Carrie, was on NPR’s Tell Me More to talk about gender in toys and how it can negatively affect kids. The effects of gendered toys on children are frequently negative, especially when the messages relate to girls’ body image. In a 2006 study, 5- to 8-year-old girls who were shown images of Barbie reported a significantly higher rate of dissatisfaction with their bodies as opposed to girls shown neutral images or images of a doll with a healthy body type. As girls grow older, they internalize the harmful idea that being thin equals being beautiful, eliciting feelings of dissatisfaction with their own bodies. LEGO’s insistence that girls need LEGO figures with more “realistic” body shapes (figures that are uniformly thin) contributes to internalizing the idea of thinness as perfection. Another issue that arises from gendering toys is that of lowered expectations becoming intrinsic to girls’ academic performance. Throughout childhood, boys are encouraged to engage in STEM-related (Science, Technology, Engineering, Mathematics) activities, while girls are encouraged to focus on their appearance. This type of direction of kids’ interests leads girls to develop an internalized notion that boys are smarter than they are, even when their grades are equal or better. According to a 2000 study, culturally-based assumptions about girls’ intellectual ability affects their perception of their own performance. 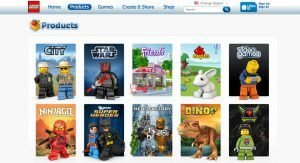 LEGO insists they have many offerings for girls, though I want to know where girls can go to find themselves represented. 117 identifiably male characters compared to 16 identifiably female characters, 11 of which come from one new line of toys, is not promising! 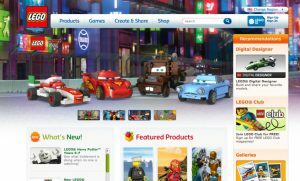 LEGO has said they want to reach out to the “other 50 percent” of the population, but 86% of the characters shown on their website are male. When girls say they have a hard time identifying with the current LEGO offerings, maybe that’s because only 14% of LEGO characters shown on the website are girls – take the new LEGO Friends out of the equation and the number drops to a dismal 4%. We have some ideas for LEGO if they are really serious about wanting more girls playing with their products. We’re looking forward to sharing them with the company! We’ve asked them to contact us by Feb. 6th for a meeting so they can hear from developmental psychologists, parents, and young women who want to ensure that LEGO continues to represent all children. LEGO helps kids develop spatial skills and ingenuity, and strong spatial skills results in increased numbers of people pursuing higher education and careers in STEM fields across genders and varying levels of overall academic ability, according to Picture This, by Nora Newcombe. LEGO says they want to reach out to girls to help them develop a love of building, but they’ve created a limited arena for girls’ participation in the type of creative building that LEGO should encourage. The LEGO Friends line is an unnecessarily gender-stereotyped toy that, given the combined messages it sends, is more likely to hinder girls (and boys) than help them. SPARK is asking LEGO to move forward in its gender representation instead of backward. By including more equitable gender representation across its line of products, instead of aiming marketing campaigns only at boys or only at girls, LEGO can increase the number of kids playing with its products, reduce the likelihood of gender-based bullying and inspire more girls to pursue STEM fields.